Monthly Payment Plan! Spend more than $250 and you can opt for a three-month installment plan. Click on camp names for detailed descriptions. Click checkbox to add camp(s) to cart for one child. Complete registration and payment info and submit your registration. Rinse and repeat for each child 😉. You've selected one camp. Sign up for two or more camps and save $15 off each camp. Use code 'MORECAMPS' below. Since your total is more than $250 you have the option of paying in 3 installments. You have elected to pay in three, monthly installments. Please see the payment setup below. 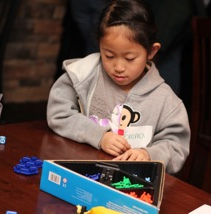 Get knee-deep in strategic thinking and problem solving fun! Want to improve your child's ability to problem solve and apply their math knowledge to the real world? This is the camp for you. Students will use their powers of deduction to clarify their reasoning, learn new problem solving strategies as they tackle a variety of brain-teasing puzzles and games. All activities are hands-on, minds-on, engaging and age appropriate. While they're busy having fun, students will also be sharpening their creativity, strategic thinking and problem-solving skills. This will give them an edge in math, science, reading… and life! Age is just a number! We now have a robotics class for early elementary students. It’s never to early to introduce your student to robotics. Students will work with LEGO’s revolutionary WeDo platform. This platform is designed to introduce younger students to robotics, allowing them to build and program their own creations. 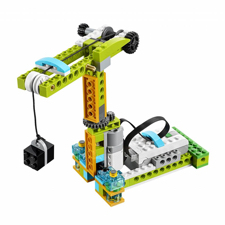 LEGO’s WeDo platform allows student to build and program their own robotics creations. Head to middle school with confidence! The transition to middle school math can be a tricky one. 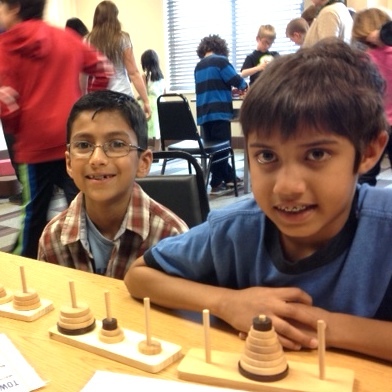 This camp reviews core concepts of elementary math including long multiplication and division, as well as fractions. In addition, this camp introduces core middle school math concepts like adding and subtracting integers, exponents, solving single variable equations in one or two steps and order of operations that are vital to success in pre-algebra and algebra. Through our unique problem-solving approach, your child will develop a deeper understanding of middle school math concepts so they can better apply what they've learned at school and in the real world. They will develop abstract thinking needed to be successful in algebra and higher level mathematics. Turn your little LEGO builder into an Engineer! Explore simple machines like levers, pulleys, gears and more through the world of LEGOs. These camps are perfect for an aspiring LEGO builder's first experience with engineering. Students begin to build a foundation for understanding how simple machines work. We discuss the basics into why things work the way they do. Build, code, and test LEGO robots. Teach robots how to navigate and interact with the world. 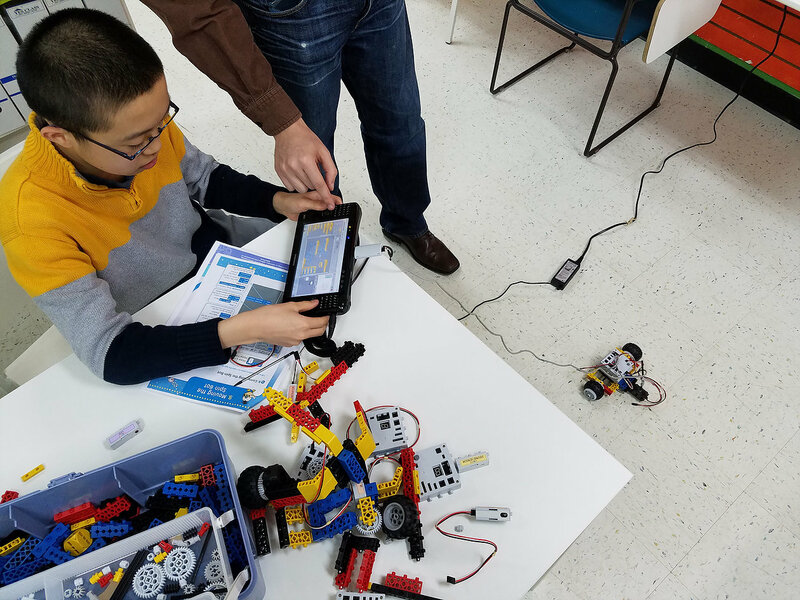 Each child will learn robotics, programming, and problem-solving while they design, build, and test LEGO robots. 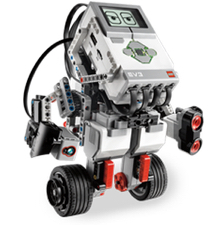 LEGO Robotics gives kids the opportunity to explore engineering, math and science in a fun and engaging way! Each day students develop teamwork skills while they work with a partner on a new design challenge. Challenges include sumo bot competition and more! We have completely redesigned the curriculum this year, so if your child took a robotics camp last year, they can do it again and have another amazing experience. Worried that your child hasn't developed any sense of the value of money? 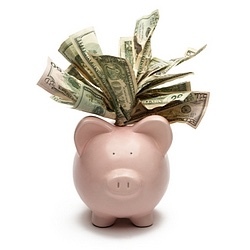 Our Smart Money camp will teach kids about budgeting, saving and investment. They will experience, first-hand, how money works through games and simulations. They’ll learn about stock investing, interest rates, debt, loans, and much more! All new camp in 2019! Get a head start on school! Build numeracy skills and confidence so your child has a headstart before starting KG. 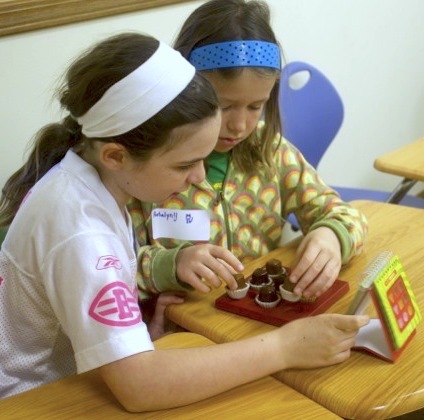 Camp that is full of fun activities developed to help kids build numeracy skills. Through our unique set of games and fun math activities, your child will gain a firm grasp on counting, addition, subtraction, and patterns. Create, tinker, innovates and design projects to take home for further exploration and discovery. 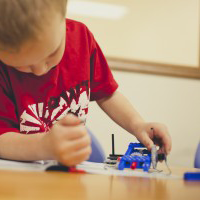 Building and tinkering is a great way for students to learn by doing. 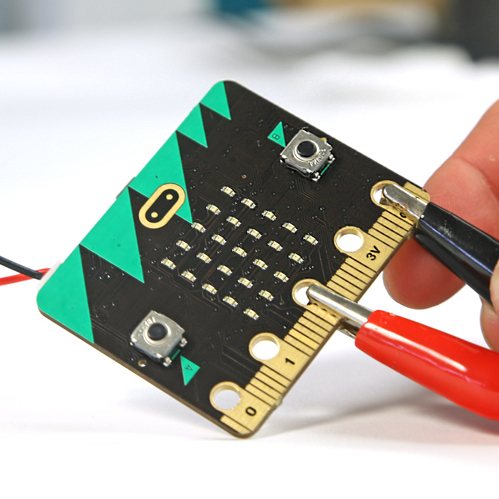 In this week-long camp, students will tinker with a number of different fun builds. Projects will include lessons on science, technology, and engineering. 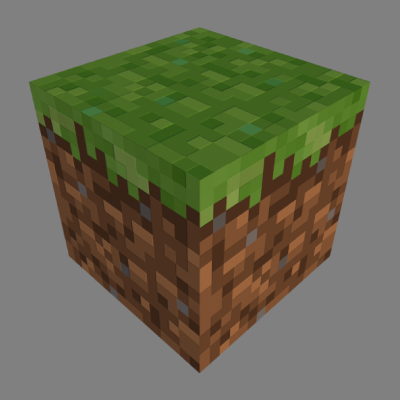 Build on Your Child's Love of Minecraft! Learn to code, solve challenging math problems, and discover how to create powerful control circuits (using redstone) all inside of Minecraft. This camp combines the joy and freedom of Minecraft with STEM learning that they can use to expand their creativity and problem solving. Students work individually and in teams throughout the week to complete design challenges and solve puzzles. Tinker with 3D printing. Take home one of your designs! Perfect for curious, tech explorers. 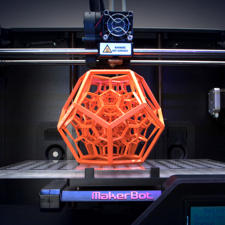 Design objects using CAD (computer aided design) software and then bring your creations to life using our 3D printer. Take home a creation and wow your friends. This camp will introduce kids to 3D modeling and 3D printing so they can turn their creative ideas into real world products. Students will learn to build 3D models in Google Sketchup which they can print and take home! 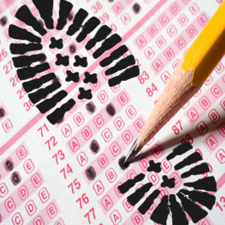 Learn the secrets to success on college entrance exams. We teach students how to solve the tricky problems they've never seen before! Did you know that most of the problems in the math section are designed to catch students making common mistakes? If your child knows what to look for, s/he can easily avoid these common pitfalls and master the test. ACT/SAT Math Bootcamp is for 8th to 11th grade students getting ready to take the PSAT, SAT or ACT. Students should have completed Algebra I and have some experience with geometry before taking this bootcamp. The bootcamp will focus on problem solving strategies students can use to answer the difficult ACT & SAT problems. They will also learn test taking tactics they can use when they get stuck. Students will be provided a practice test prior to the bootcamp. The information from those tests will be used to structure the camp to meet the needs of the students. Turn your video gamer into a video game creator! 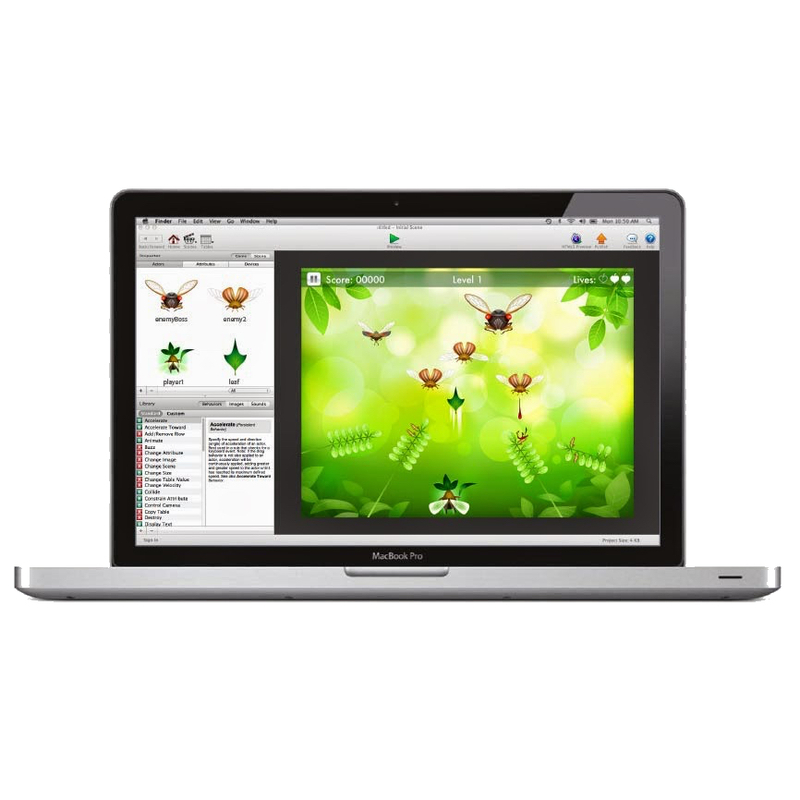 Design powerful, interactive games in just one week. Turn your child's gaming obsession into a learning experience. 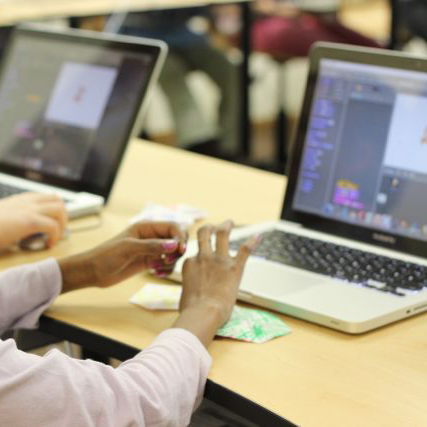 What kid doesn't want to design their own video game? Students will use game design software from GameSalad to build high quality arcade games that they can access at home even after the camp is over! Kids will love being able to play their own games on their computer. No programming experience required. The extended care plan carries flat rate and cannot be modified. This allows you to drop your student off at 8:30 am (no earlier) and pick them up at 4:30 pm (no later). If the pickup time is abused we reserve the right to void your extended care for the week, without refund. Extended care can only be applied to registrations that contain a morning and afternoon camp. Extended care will not be accepted for registrations containing only one half-day camp. Learn the Math Behind Code Making and Code Breaking! Learn to send and receive secret messages of all kinds. 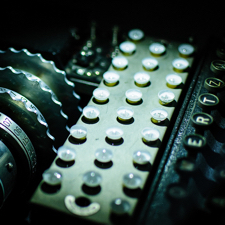 Explore the history of cryptography back to Roman times up through modern RSA technology that protects our secrets today. Students will learn the mathematics behind code making. 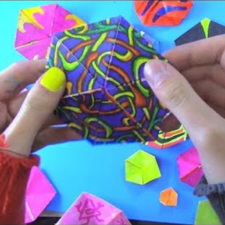 Students will discover one of the fascinating ways math is used in the real-world. Students will also design encryption and decryption programs on a computer. This is the perfect camp for any child with a passion for math. This is a new camp offering! Register now to avoid missing out. Hone problem solving skills while learning about number theory, graph theory, probability, and geometry. 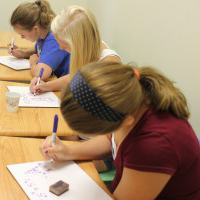 This is a rigorous, intensive camp for students with an strong affinity for math. It’s designed for bright middle school students to broaden their mathematics education. 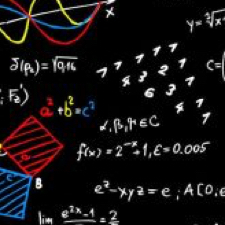 Advanced topics include: number theory, graph theory, probability, and geometry. Students will be exposed to brain building challenges in wonderful areas of mathematics they won’t be introduced to at school. Students must have a passion for math, strong mathematical knowledge, and a desire to be challenged. This is a new camp offering! Register now to avoid missing out. Progress with Chess is proud to partner with Math Plus Academy and offer our traditional one week camp format at the Solon location. For students in grades K-8. All levels welcome, from beginners to expert players! Your child will thrive in our supportive environment, receiving plenty of individual attention in small groups, divided by age and skill level. Chess sets and equipment provided. Full day campers bring lunch, all may bring snacks if desired. The camp will be conducted by “Progress with Chess”, a local non-profit organization which provides chess instruction in over 50 Greater Cleveland locations, employing an experienced staff of professional instructors. 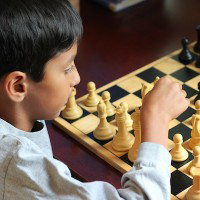 Beginning students will master the rules and moves of the pieces, basic strategy and checkmates. More experienced players will explore openings, endgames, tactics and checkmate patterns. Activities include a healthy mixture of interactive lessons and supervised open play. A short recess is scheduled in the morning and afternoon with opportunities for physical exercise. Lunch and free time will be from noon to 1pm daily for full day campers. NEW OFFERING EXCLUSIVELY IN SOLON! The RoboThink Robotics Program is a hands-on learning experience where students from K-12 can use our amazing robotics kit to design and build robots of all shapes, sizes and functions! The RoboThink Robotics Program uses our robotics kit, a leveled curriculum and an open learning environment where students can creatively build and modify robots. Our trained instructors provide guidance but leave the heavy lifting to the students to maximize self-discovery and self-learning. For the child, it's fun play. And for the parent, it's a great educational tool! RoboThink's products, programs and curriculum are designed by teachers and engineers to help students maximize academic benefits from our robotics programs.